Aircraft electrical propulsion has the potential to disrupt the aerospace & aviation sectors in more ways than one. Not only does it have the ability to one day impact Large Commercial Aviation, it may also result in the creation of the new market of Urban Air Mobility, and provide a boost to Sub-Regional aviation. One company which is involved deeply in both is Cranfield Aerospace Solutions, an aircraft certification expert. 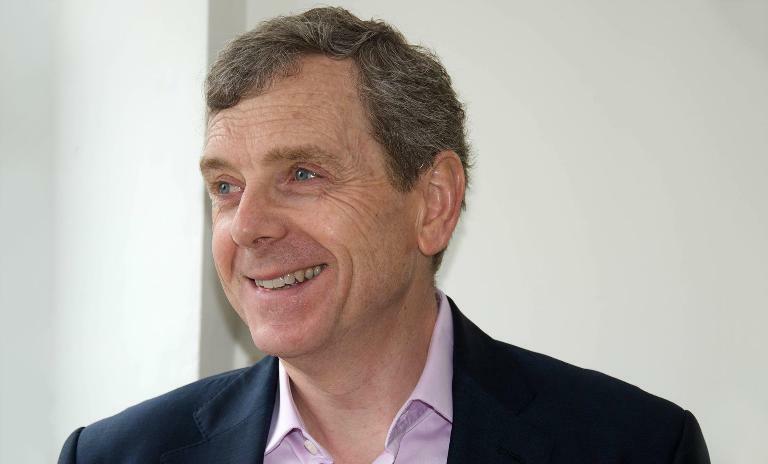 To learn more, we spoke with Paul Hutton, CEO at Cranfield Aerospace Solutions. The aerospace and aviation industries need to work closely with authorities to introduce aircraft electrical propulsion to the market, says Paul Hutton, CEO at Cranfield Aerospace Solutions. How would certification be different for electrically propelled aircraft vs traditional aircraft? In many respects, the certification process will not be very different. It will use the same approach and demand the equivalent supporting data/provenance currently used for traditional aircraft. As with any new product/design, close collaboration with the airworthiness authorities from the beginning of the development process will be vital. In principle, if the operation of the aircraft remains largely the same then the main challenges will lie in the ability to design any new system to meet the regulations and the ability to show compliance both in development and in operations, even for large commercial aircraft. This will involve the generation of detailed and thorough safety cases and risk analyses and perhaps the creation of new verification test procedures/regimes, e.g. how to verify battery health, temperature management & crash safety; how to ensure high voltage cabling is appropriately protected and packaged, etc. These technical challenges do not, apparently have a direct parallel in present commercial aviation but even for these aspects there may be partial parallels within the wider aviation system (and potentially other industries) that can be drawn upon. With the recent changes to the CS23 regulations general and some regional aviation will hopefully benefit from more generic certification requirements, giving aerospace companies such as CAeS more flexibility on how compliance is proven. In the case of urban air taxis/eVTOLs, the certification challenges are more onerous. Due to the nature of their usage (generally urban, low altitude and not via the traditional airport system), the certification of these vehicles must be done in conjunction with the development of new airspace management and infrastructure. This has already been recognised by a number of countries across the globe, including the UK. There is the potential to need to consider the entire operational environment as a whole to ensure safety rather than rely on essentially separate, certification regulations and processes for the air vehicle, the operator, the traffic management system, etc., as we do for the majority of civil aviation at present. British manufacturers are planning to set up first electric air transport routes in the next three years. What can airworthiness authorities do to enable quicker adoption of electric propulsion without compromising on safety? Early and open bilateral engagement throughout the development process with aerospace organisations developing the new technologies is vital. This will enable a collaborative agreement to be reached on the certification basis for each technology and robust validation and verification process to support the demonstration of compliance. For urban air taxi/eVTOL applications, the authorities will need to also engage with all those organisations involved in contributing to the operating environment for the air vehicles, to ensure that development in the regulations and processes in all areas maintain and enhance safety when departing from the present standard approaches in civil aviation. This is something that the major airworthiness authorities already recognise. What are the advantages and drawbacks of "starting from scratch" versus retrofitting existing technology to test electrical propulsion? We don’t see either of these approaches as, necessarily, having drawbacks – both represent progress and are simply different approaches working towards the same vision of a fully electric aviation industry. By taking the “starting from scratch” approach, be it in a disruptive autonomous passenger drone or that of a fully electric new tube & wing aircraft, it creates a vision of the landscape into which the industry will step. It provides vital R&D learning and sharing of knowledge; it encourages supporting technologies to be developed (e.g. batteries) as a potential future market seems viable. This approach tends to require more investment and experience and therefore the barriers to entry can be quite high but with the right support/partnership and funding, it’s an exciting and innovate approach. By retrofitting an existing airframe with a new propulsion system, you keep the majority of the operations and the airframe the same, which simplifies the task and enables concrete progress to be made towards certifying a product for operational flight. This will then also provide valuable experience and knowledge, including to the authorities, to support the more disruptive approaches. In short, both approaches are important and necessary. What is Cranfield Aerospace's new Sub-Regional aircraft development? When is its first flight? Cranfield Aerospace Solution’s proposal takes the retrofit approach initially and is a 3-phase development. 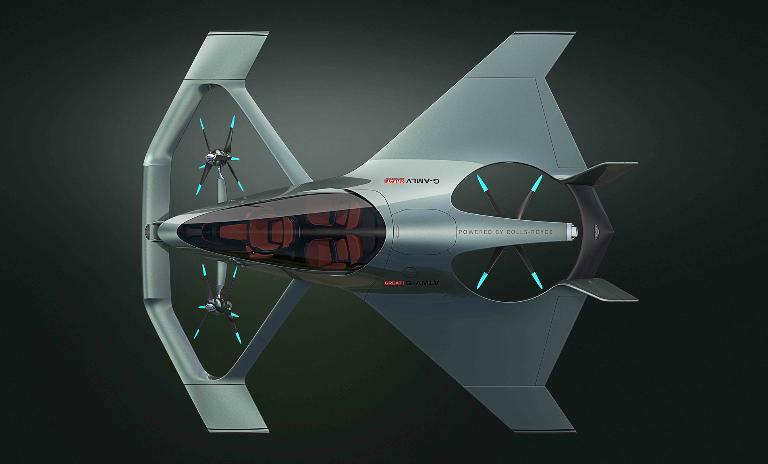 Phase 1: Modify an existing, already certified 9-seat aircraft to integrate an electric propulsion system and demonstrate electric propulsion technology. Phase 2: Modify an existing already certified 19-seat aircraft to integrate a higher-performance hybrid-electric propulsion system and demonstrate hybrid-electric propulsion technology. Phase 3: Design a brand new 19-seat aircraft to incorporate the hybrid-electric propulsion system from Phase 2 to demonstrate the use of new materials, new manufacturing techniques and optimising aerostructures for electric/hybrid-electric propulsion. 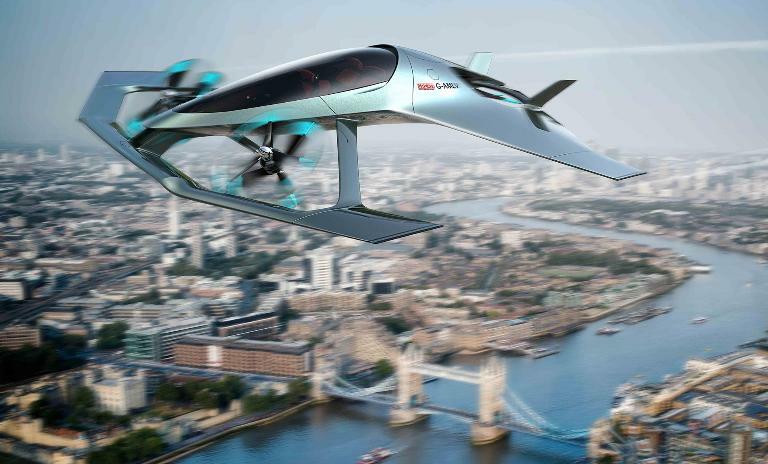 Each phase will result in an EASA-approved demonstrator aircraft, enabling the UK subsequently to launch the first electric air transport routes by 2021/22. How has Cranfield Aerospace Solutions (CAeS) been working with Aston Martin Lagonda (AML) and Rolls-Royce (RR) on the Volante Vision concept? 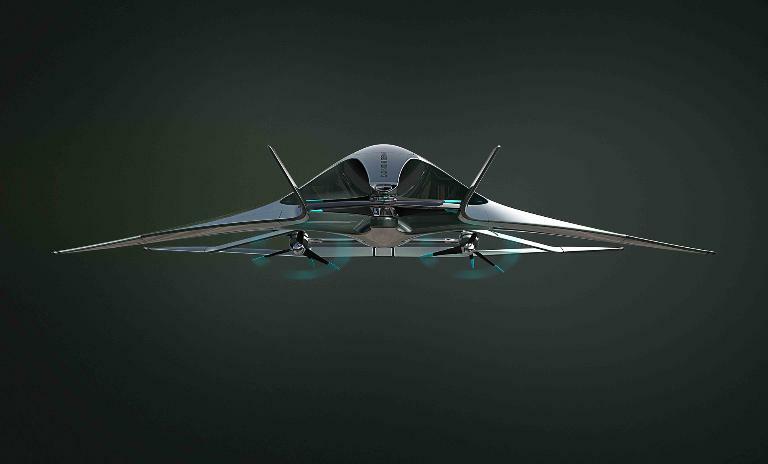 Up to this point, the consortium of AML, RR, CAeS and Cranfield University has been focussed on development of the Volante Vision Concept, with CAeS fulfilling the role of aircraft design and production organisation. The concept started with an AML stylised design which was then reviewed between RR, CAeS and CU to further enhance its aerodynamic and control capabilities. This involved a series of collaborative workshops and ultimately the launch at Farnborough where the Volante Vision stand was run by representatives from all 4 organisations. The next steps are to define the path to a flying demonstrator and to identify the appropriate funding sources to enable the project to be progressed to the next stage. This will continue to be a collaborative project, with the emphasis more significantly skewed to the engineering of the aircraft and its propulsion system, whilst maintaining the look and feel of an AML air vehicle. What is the state of the art in autonomous flight technology? What are the remaining challenges to overcome? The ability to fly autonomously beyond the visual line of sight has been around for some time. The military have been flying BVLOS UAVs for decades. The challenge is not in the autonomy itself but in the safety cases and risk management around flying autonomously in airspace where a range of other air vehicles may be encountered. Put simply, it comes down to regulation. Given the potential risk to human life, the need to mitigate risk will inevitably drive the need for sense and avoid capabilities which are currently in various states of development, particularly in the military environment. It is unlikely that technology will now be the overriding challenge, but more likely the need to focus on specific real-world applications, and work through their associated safety cases requiring application by both industry and the regulators to reach a successful conclusion. 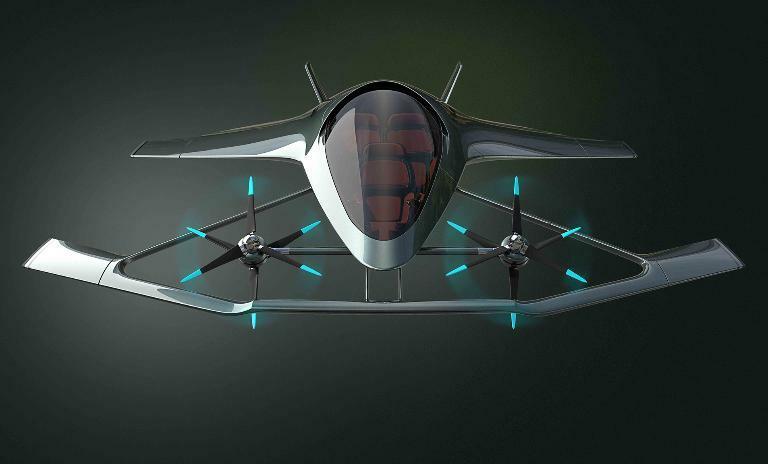 Aircraft electrical propulsion may lead to the creation of the new market of Urban Air Mobility. What role does regulation have to play to enable the emerging technologies of electrical propulsion, autonomous flight and Urban Air Mobility? What involvement from central and local/city government is required? “The aviation system of today does not permit the routine operation of autonomous aircraft beyond visual line of sight, a required capability for the novel services & technologies being developed. From the dawn of aviation, industry, government and academia have worked together and this challenge is no different.